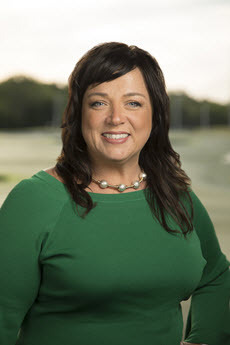 As Vice President of Operations for Topgolf in the U.S., Genifer Gray oversees Topgolf’s food and beverage program, Guest support center, golf services and Topgolf Coach instruction, and high-priority strategic projects. Genifer joined Topgolf from Maggiano’s Little Italy, where she served as Co-President and Chief Operating Officer, overseeing 53 restaurants and 10,000 employees. She began her career at On The Border Mexican Grill & Cantina in 1998 as a server and bartender and worked her way up through the Brinker International family of brands, serving in a variety of roles, including Vice President of Operations and Human Resources and Senior Director of Operations Services, and gaining invaluable restaurant and hospitality experience. Genifer studied hospitality management at the University of Georgia and executive leadership at Kellogg’s School of Business at Northwestern University. She is passionate about giving back to organizations like Make-A-Wish® and Habitat for Humanity. In her spare time, Genifer enjoys spending time with her family, traveling, watching college football and trying out new restaurants.